ALP is working with Avalara to help sellers using Amazon’s Fulfillment By Amazon service be in compliance with sales tax collection. Ready to work with Avalara to be certain you’re in compliance? ALP, an Avalara development partner, is here to help you face this challenge. We listened to those of you who are looking for an easy way to use your FBA information to upload your orders and shipping information to Avalara and let them take the guesswork out of compliance for you. 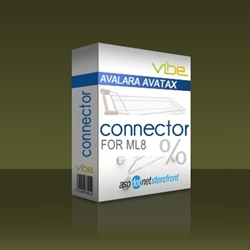 Version 1 of our Amazon -> Avatax Connector is available now! We’ll be offering improvements as we work with you, the sellers, as we move on to future versions. With the Vibe upgrade program including free upgrades within the first 6 months, we encourage you to take part and give us feedback. Get started today!